The Valley of the Sun has many self-published authors that made sure to get their books on the shelf. Phoenix, Arizona is home to authors that are ambitious, well read, and determined to be on the literary map. Since Peanut Butter publishing or Classic Day publishing has experience in all genres, we can reach writers across the country, and the Phoenix metro has the warm inspiration writers need. Authors who choose self publishing have the opportunity to retain control over their manuscript. At Peanut Butter publishing and Classic Day publishing, we understand that you want your work to be handled with care and professionalism. We know you have a story worth telling, and we want to make sure it’s done right and you are presented with a book you are proud to share with others. Our Phoenix, Arizona authors aren’t afraid to shine the brightest light on their work, because it’s custom made to suit them and their goals. Johnathan Hillstrand from the famous TV show Deadliest Catch has published several children’s books with Peanut Butter publishing! 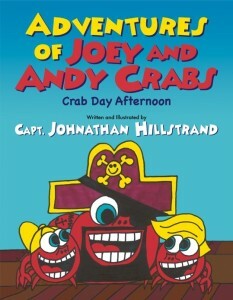 When Joey and Andy Crabs ignore their mother’s warnings, they end up in a dire situation. They learn to listen to their mother and at the same time, learn the value of having friends who look out for them. Captain Johnathan spends the fall and winter crab fishing in rough waters off the coast of Alaska in the Bering Sea. He co-captains the Time Bandit on Discovery Channel’s Deadliest Catch. He started writing and illustrating his first book, The Adventures of Little Bird Pirate Dreams in the hospital after he fell off a bull filming The After the Catch. Instead of police administrators seeking the newest technologies, the time has come for us to improve the way we treat each other and the citizens we serve. Time spent chasing dots in staff meetings, and stressing over crime statistics might be better utilized by improving our relationships with officers and community members. 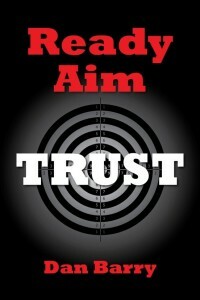 Ready, Aim, Trust calls for police leaders to recommit to organizational soundness. This book takes us through 30 years of being a cop. From rookie officer working the violent streets, to the captain overseeing a major political corruption investigation; a true cop never forgets his/her mission is to protect the good citizens from bullies. Vomberg spent one year in the jungles of Vietnam as the “point man,” walking 30 yards ahead of the rest of the team and acting as their eyes and ears. His book includes vivid and often suspenseful anecdotes of his time in and out of hospitals, his close calls, and detailed battles where he witnessed the deaths of both friends and enemies. 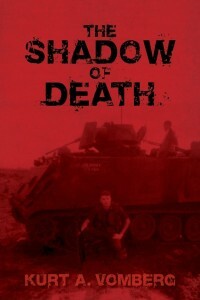 Above all, The Shadow of Death pays tribute to the fallen and shares an inside look of the actualities of war. 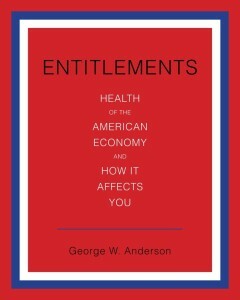 Prior to this book, there has not been a thorough presentation of entitlements and their affect on the health of the American economy. Containing both information on the various local, state, and federal entitlement programs, it also offers statistical data on the affects of these programs. Fascinating and very insightful, it is presented in an oversized format. Be prepared for the tough questions. Will social security be there for me? Will Medicare be there for me? Am I eligible for food stamps? What other entitlement programs are available for me? Is my financial program sustainable? Am I becoming financially independent? What are my goals? What is permanent? Do I trust the government? Where will it all end? What did I learn from this book?